Despite what the title might suggest, this post has nothing to do with a particular well-known sports brand. 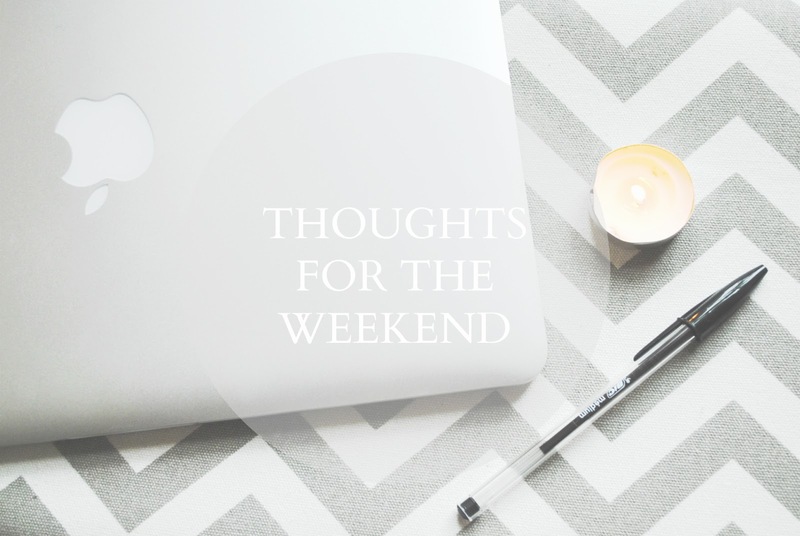 Rather, this week's Thoughts for the weekend is about just doing it, literally. But what is 'it' you ask? It is anything in life that you want or aspire to, but for some reason you're not going after. Perhaps you're scared; scared you'll fail, scared that once you get that thing or reach that place you won't like it, scared that it won't be the way you'd imagined, or perhaps you're scared of leaving your comfort zone and embracing change. Whatever it is, more often than not the only thing holding us back in these situations is fear, and fear we've created ourselves at that. Yet somehow, although there is no real logical explanation as to why we would impose this crippling fear on ourselves, we so often do, and a lot of the time we don't realise that we have power over that fear - after all, we created it. Usually, when we feel this fear, rather than recognising it as something born from our own subconscious, we see it as something out of our hands, and we allow it to hold us back and keep us in our comfort zones, all the while we sit and daydream about those things we want so much, wishing we weren't so scared, and wishing we had the confidence to just do it. But, you want to know something I've realised recently? We do have the confidence, and we can brush that fear off any time we want to. Now that's not to say it's easy to do, but if we really want something, and if we recognise that this fear is something we are burdening ourselves with and therefore that we have full control over it, we can extinguish it and clear the path to the things we want. Of course with big change and uncertainty comes an element of anxiety and perhaps a little fear, but if you can look past that and focus on the ultimate goal, there's nothing standing in your way. If you want to go for that job, or go on that holiday, or try that new hobby, or become the person you feel you really want to be, then just do it. You are the only obstacle in your path, and you have the ability to push yourself to the side and do the things your heart sings for; once your path is clear, what is there to stop you? What are your thoughts on overcoming your fears and 'just doing it'?